Description: This hack attempts to be what the real Mario is Missing should've been. There are no geography lessons here, just platforming and head-stomping. My only complaint is the lack of a checkpoint before the final boss. This is an oversight I see a lot and it's frustrating that testers didn't realize that having a hard final boss and no checkpoint prior was bad. 4/5. I think it's more a nod to the original SMB then an oversight. Amazing hack! The difficulty curve kind of spiked towards the end of the game, but it was forgiving after I beat it lol. Pretty good hack, music is great and levels are good, but the controls are reeeally bad. Sometimes i can't switch directions mid jump and momentum won't stop. It might be my emulator, but it's never happened with other hacks. This hack was seriously cool. The graphics, the music, the level design, the natural difficulty curve... It all feels very professional and Nintendo quality. If I have any criticism, it's that the boss fights felt undercooked, outside of Bowser. But the level design is so good that this is a must play for people who want to play a romhack that makes them forget it's not an official sequel. 5/5. Loved it. 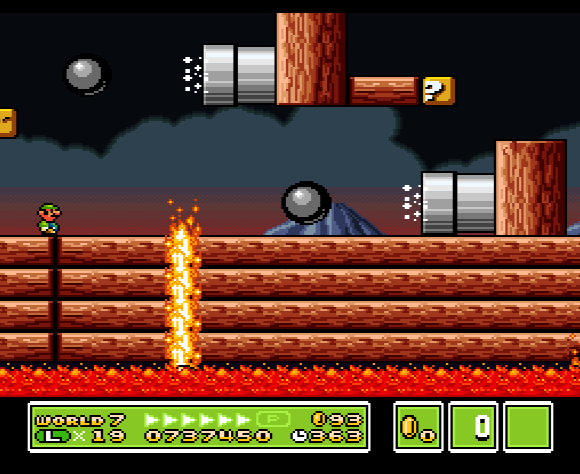 There were some levels in World 7 that were too hard compared to another levels in the same world. The rest is great; music, graphics, level design... Would play again in the future. Finished my play through - all 90 exits. 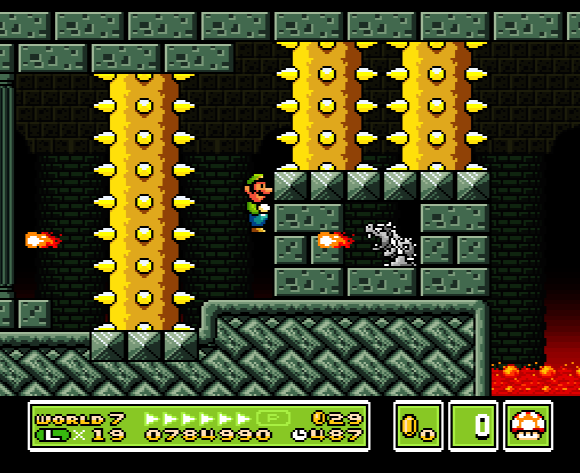 I am relatively new to playing SMW hacks and found this one to have a great difficulty arc with interesting level design! 5/5 for me and I would recommend this hack to many others. This really is a fantastic hack, and by far one of the best hacks on this website. Keep up the good work Gamma V! 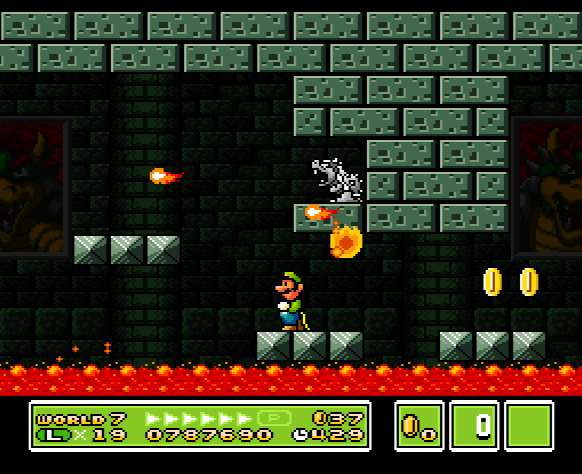 Graphics - 20/20 - Really nice; inspired by Super Mario Bros. 3 graphics I presume. Level Design - 20/20 - The levels all had a unique spin on it, which never gave me the repetitive feel other hacks give me. Difficulty - 16/20 - The hack started out way too easy, but the difficult progressed very smoothly into a nice amount. there should've been more original tracks though. Overworld - 18/20 - The overworld was really interesting, how each world was it's own sub-area. The one problem with this is that you are unable to scroll around and look at the map. Final Rating - 5/5 - Five stars, because it's a truly fantastic hack, that everybody should play. I had tonnes of fun playing it. Excelent! Thank you so much! Very solid hack 4 stars(8/10). I 100% it without using savestates. Doing a LetsPlay of this hack and I love it. IT SO HARD I CANT EVEN BEAT THE 2ND LEVEL! This ROM is sick! Congratulation guys, very well done!!! como se tiene que emular?? A 4 out of 5 at this time, in world 5. Will edit later if I feel different after completing. Also, the Chomp graphics are x-flipped. They don't face the correct directions in this level. Just something to point out. 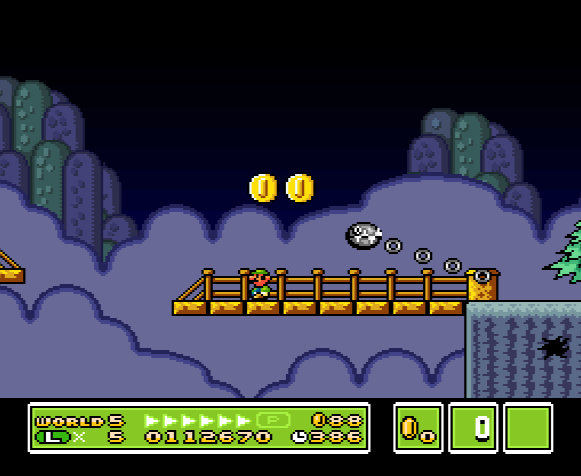 Did not notice this in any other levels that have Chain Chomps. Edit: Would rate it as a 4.5 out of 5 if that were possible. There's a lot I love about this hack, like the custom graphics, most of the level design and the ASM (sprites, patches, etc) that are used. At the same time, there's some instances of custom graphics that I find odd looking like the small Koopas without a shell graphics (all of them) for one example. Level design is on-point through most of the game but the difficulty curve at points drops down to being really easy in later worlds. An example of this (at least to me) is 7-7 which was super easy. This level I found to have a lot of blind spots where these spike balls could easily catch you off guard...but maybe I'm just impatient? A very minor nitpick is the layer 2 hitboxes but I'm not sure what you could even do about that. It clips through the block and hurts Luigi. Another is these cannon balls. They're a little too fast IMO and could be just a tad slower. 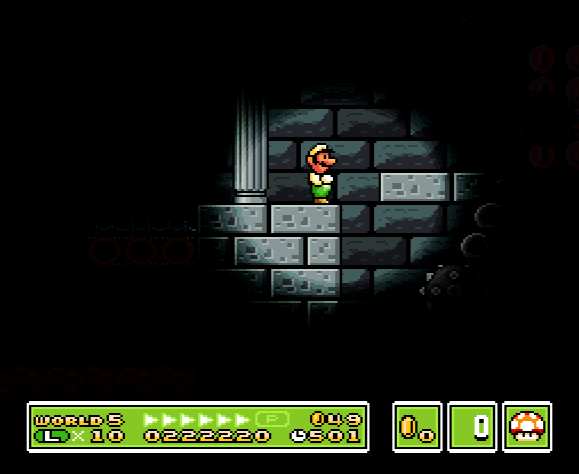 In some ways, it feels like a true Mario game. in others, it does not (like the graphics as I touched on earlier. Not all custom graphics, some). A question though : what does the '0' stands for in the bottom right middle box ? The number never changes throughout the game. I thought it was related to the A-Coins, but I found all of them and didn't change anything ? I'm pretty sure that's just the bonus star counter, which I'm assuming doesn't change because the goal tape doesn't give you bonus stars in this hack. In other words, it serves no purpose in this hack, but it would in other hacks that use the same status bar and have bonus stars enabled. Another wonderful work =] There are inventive colorful levels and sprites, and so is the overworld. Music is awesome too. Bosses are a little tricky but also inventive... really I loved every level of the game ! 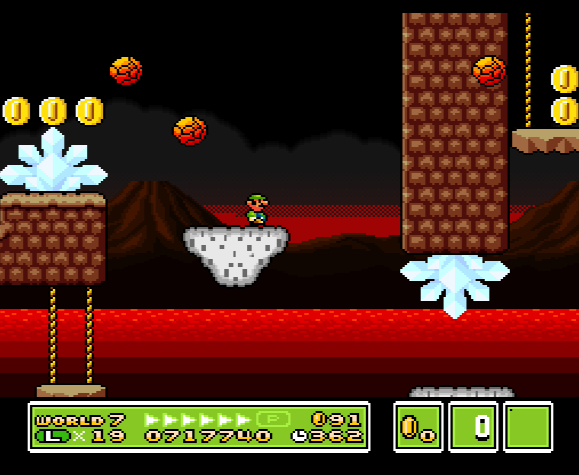 All 89 exits (90 counting Bowser but the game does not save after beating it) are reachable without using savestates. Last world is in fact more challenging, but that's fine for me. 10/10 (5 stars) A big thank you for you and all your team. You guys are awesome ! I really have enjoyed your hack for many days. You need to collect the A-Coins to get it. Secret exit pipe in 5-2 does not work. Edit: Thanks i could get the secret exit using your advice! Really nice hack. Last worlds get a little hard, but i enjoyed it all the same.